The location of the pancreas deep in the abdominal cavity is a factor HINDERING EARLY DETECTION of pancreatic cancer. Pancreatic cancer is the eighth most commonly diagnosed cancer in women and the eleventh most commonly diagnosed in men. 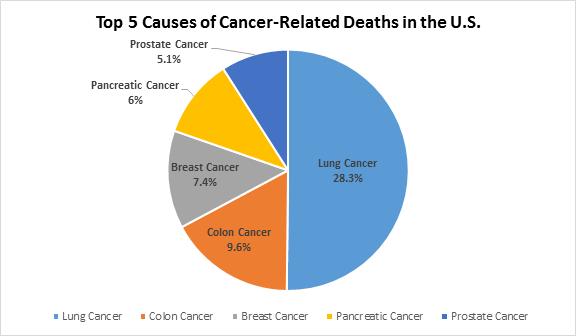 In 2015, an estimated 48,960 people will be diagnosed with pancreatic cancer in the United States, and approximately 40,560 will die from the disease. Pancreatic cancer is one of the nation’s deadliest cancers, with a five-year SURVIVAL RATE OF JUST 7 PERCENT. An estimated 72 percent of patients will die in the first year of diagnosis. High-priority research areas being explored in pancreatic cancer include identifying biomarkers for early detection using registries of patients with a family history of pancreatic cancer, developing drugs that target specific gene mutations, understanding how the tumor microenvironment alters drug delivery and harnessing the immune system for the treatment of pancreatic cancer. This is why Uniform Advantage wants to help! With these scary statistics, this disease needs more funding, resources and attention so that more people are educated about it. If you know of anyone that has been diagnosed with this cancer, help is available through great organizations like the Pancreatic Cancer Action Network. They were founded in 1999 as a “nationwide network of supporters working together to advance research, support patients and create hope for those affected by pancreatic cancer.” Uniform Advantage is one of their newest supporters and has donated over $3,000 to help fight pancreatic cancer. $1 from the sale of each of their Tree of Hope White scrub tops and jackets will be donated. The Pancreatic Cancer Action Network is the national organization creating hope in a comprehensive way through research, patient support, community outreach and advocacy for a cure. The organization is leading the way to increase survival for people diagnosed with this devastating disease through a bold initiative — The Vision of Progress: Double Pancreatic Cancer Survival by 2020. Together, we can Wage Hope in the fight against pancreatic cancer by intensifying our efforts to heighten awareness, raise funds for comprehensive private research, and advocate for dedicated federal research to advance early diagnostics and better treatments and increase chances of survival. For more information, go to http://www.wagehope.org. For more information, please visit www.pancan.org. Help us spread awareness about this cancer and together, let’s help achieve Pancreatic Cancer Action Network’s vision of doubling survival by 2020! ← Enter Uniform Advantage’s Win-It-Wednesday contest and Spring into Fashion!